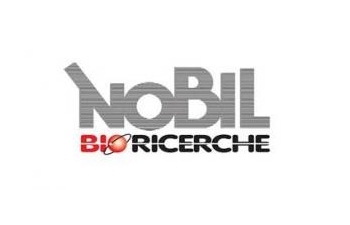 Nobil Bio Ricerche srl is ISO 9001 and ISO 13485 qualified for surface treatment and surface analysis of medical devices by chemico-physical and biological in vitro techniques. The company mission is the application of biotechnology concepts to the development of novel medical devices, through the implementation of innovative technologies that promote specific cell response. The final goal is to change the role of implant devices, making them a true active interface with the host cells&tissues, in a perfectly integrated and functional mechanism, built on knowledge-intensive systems. Nobil Bio Ricerche in-house facilities include advanced techniques for chemico-phyisical surface characterization, such as X-ray Photoelectron Spectroscopy (XPS), Scanning Electron Microscopy (SEM), Atomic Force Microscopy (AFM), wettability measurement, analytical facilities such as HPLC, UV-VIS and IR spectroscopies; in vitro evaluation of cell-materials interaction is performed in the company cell culture lab, equipped with phase-contrast and fluorescence microscopes, fluorescence microplate reader and RT-PCR equipment for gene expression analysis. Nobil Bio Ricerche performs surface treatment and packaging of several hundreds of thousands dental implants/year in its ISO 7 clean room for several implant producers, using the most advanced approaches to surface treatment and internally developed protocols for chemical and biological cleaning.